music video’s creator, Jean-Marie Marbach, lives in Paris and came out to Los Angeles for the festival. He proved to be one of those wonderful filmmakers who attends all of the other films and shows nothing but enthusiasm for the art of film. I knew even before I started this podcast that I wanted to include Jean-Marie in it. 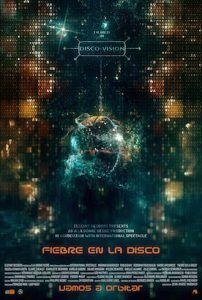 If you want to watch Fiebre en la Disco, click the poster to your right. You can listen to the podcast using the media player below or on DiscoverFilm.net iTunes, Google Play, SoundCloud, or Stitcher.